Singapore has granted the United States permission to fly surveillance aircraft out of its territory. In a joint statement after their meeting in Washington, D.C. on Monday, U.S. Defense Secretary Ash Carter and visiting Singapore Defense Minister Ng Eng Hen welcomed the inaugural deployment of the U.S. P-8 Poseidon aircraft to Singapore from December 7 to December 14. Singapore is no stranger to providing the United States access to its facilities. Singapore stepped in to support an American military presence following the closure of U.S. bases in the Philippines in 1991. U.S. littoral combat ships (LCS) are also already being deployed to Singapore, with the third deployment scheduled to take place in 2016. 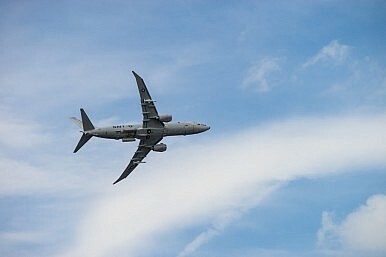 The deployment of P-8s is significant because it provides Washington with another location in the region from which to stage surveillance flights. As I noted in a related piece, Washington already conducts such flights in other countries including Japan and the Philippines for various purposes, including monitoring China’s growing assertiveness in the South China Sea (See: “US, Singapore Ink New Defense Pact“). Malaysia, which neighbors Singapore and is a claimant in the South China Sea disputes, has also quietly invited the United States to operate aircraft. While Malaysian officials rarely say so publicly, The Diplomat understands that they have privately communicated their desire for a stronger U.S. presence in the region for various reasons including rising concerns about extensive Chinese land reclamation in the South China Sea and the threat of militarization of Beijing’s artificial islands. The U.S.-Singapore joint statement noted that the deployment of the aircraft “would promote greater interoperability with regional militaries through participation in bilateral and multilateral exercises, while providing timely support for regional HADR and maritime security efforts.” No further details were provided, though The Diplomat understands that further and even regular flights may occur next year following the end of the inaugural deployment. The deployment, the statement clearly noted, was taking place under the ambit of existing agreements between the two sides, specifically the 1990 Memorandum of Understanding and the 2005 Strategic Framework Agreement. As I reported in a related piece for The Diplomat, at their meeting, Carter and Ng also signed an enhanced defense cooperation agreement ahead of the 50th anniversary of the establishment of bilateral ties between the United States and Singapore in 2016 (See: “US, Singapore Ink New Defense Pact“). Under the pact, the two sides agreed to increase collaboration in new areas including HADR, cybersecurity and biosecurity as well as more high-level dialogues. The move was a significant boost for U.S.-Singapore relations. In 2012, the two sides had elevated ties with the launch of the U.S.-Singapore Strategic Partnership Dialogue (SPD).